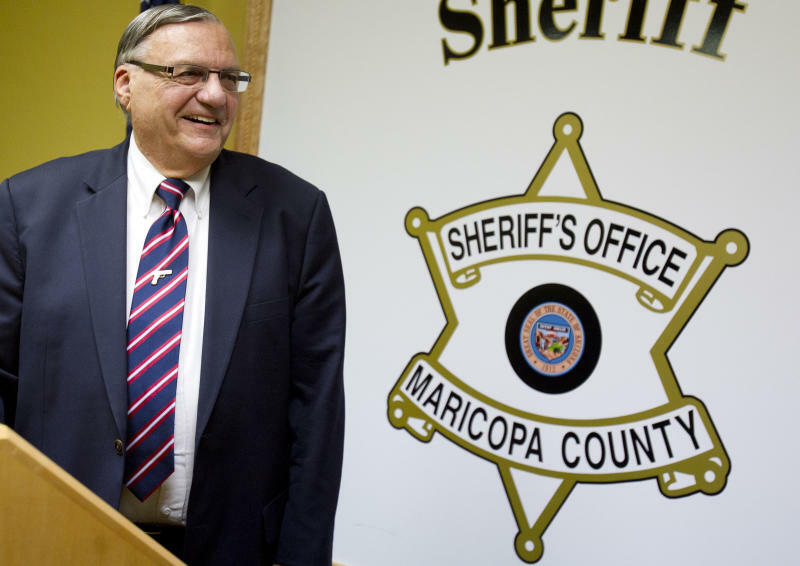 PHOENIX (AP) — The federal abuse-of-power investigation into America's self-proclaimed toughest sheriff — Maricopa County Sheriff Joe Arpaio — has been closed, with prosecutors saying no charges will be filed. Federal authorities also said Friday that they have decided to not prosecute matters tied to alleged misuse of county credit cards by sheriff's officials, alleged misspending of jail-enhancement funds and other matters. "They did their investigation, they didn't find enough probable cause and they didn't bring an indictment," Arpaio said at a hastily called news conference after returning from the Republican National Convention in Florida. "We don't go around framing anybody. My people are not crooks." Assistant U.S. Attorney Ann Birmingham Scheel released a statement saying her office "is closing its investigation into allegations of criminal conduct" by current and former members of the sheriff's and county attorney's offices. Scheel, who is based in Arizona, said she was acting on behalf of the U.S. Department of Justice. In a four-page letter to Maricopa County Attorney Bill Montgomery explaining the decision, Scheel wrote that "our limited role is to determine whether criminal charges are supportable. After careful review, we do not believe the allegations presented to us are prosecutable as crimes." "I've been in law enforcement for 50 years. Nothing surprises me. But I know my people did the right thing," said the 80-year-old Arpaio, who is running for a sixth term as sheriff in Arizona's most populous county. "I'm just happy for my organization, for my deputies. Not for me." The federal probe focused specifically on the sheriff's anti-public-corruption squad. In a separate probe, the U.S. Justice Department has accused Arpaio's office of a wide range of civil rights violations, and in another case, a federal judge has yet to rule in a civil case brought by a group of Latino plaintiffs that claimed Arpaio and his deputies engaged in racial profiling. The timing of the federal authorities' announcement — at 5 p.m. on a Friday before a holiday weekend — was questioned by some Arpaio critics. "It is a miscarriage of justice that the federal government is dropping its case against Sheriff Arpaio and to make such an announcement on the Friday night before the Democratic National Convention can only be politically motivated to shield the administration from criticism," Pablo Alvarado, director of the National Day Laborer Organizing Network, said in a statement. Authorities say the charges against Donahoe were filed in a bid to prevent the judge from holding a hearing regarding Arpaio and Thomas' claim that judges and county officials conspired to hinder a probe into the construction of a court building. The judge also had been critical of the ability of Arpaio's office to bring inmates to court on time for hearings. 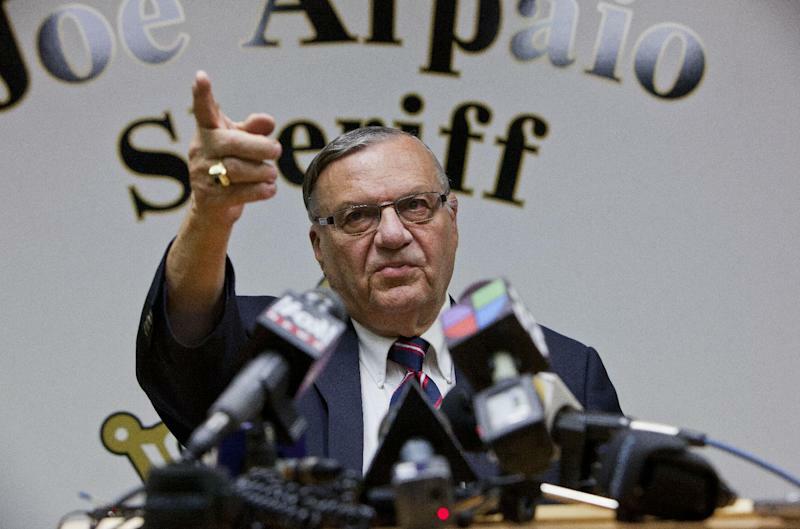 In the separate probe, which is still ongoing, the Justice Department says Arpaio's office racially profiles Latinos, retaliates against critics of its immigration patrols and bases its immigration patrols on racially charged citizen complaints that did not allege crimes. The sheriff denies the allegations. And in the civil case, the Latino plaintiffs aren't seeking monetary damages. Instead, they want a declaration that Arpaio's office uses racial profiling and an order requiring policy changes. 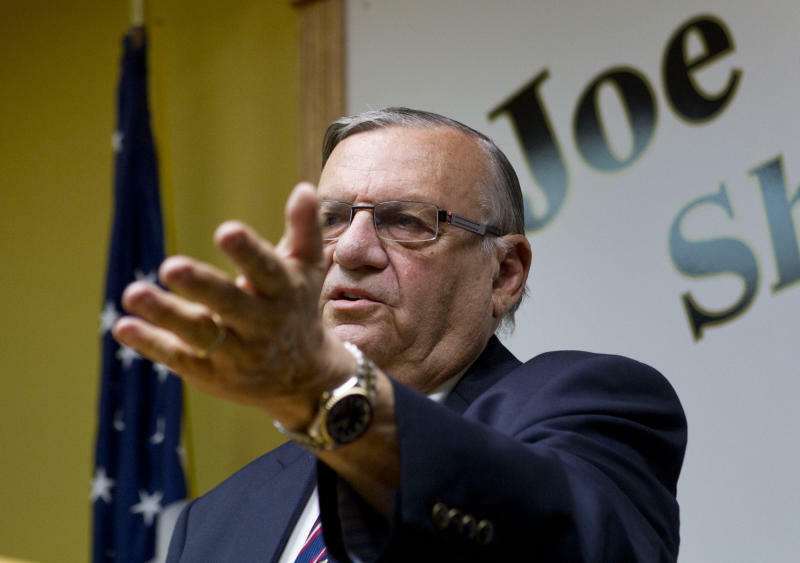 If Arpaio loses the case, he won't face jail time or fines.